Simon Fraser University in British Columbia is to offer students the chance to study craft beer as part of a continuing studies programme. The “Craft Brewing and Brewing Essentials” programme is a non-credit one (it does not count towards a full degree) but it would be an interesting addition to the “Science of Brewing” course (which does count) that was introduced last year and is offered by the university’s faculty of science. As reported by the Vancouver Sun, the programme will include the fundamentals of brewing, its science, ingredient development, beer quality assessment and business fundamentals. There is also a lab element. 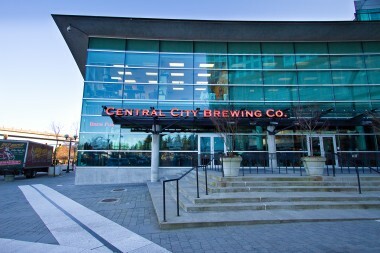 The course will take place at Central City Brew Pub (pictured) which is run by Central City Brewing and which is conveniently located on SFU’s campus in the Surrey district of Vancouver. “We’re hoping the lab will be located physically in the pub, so students can experience the lab right in a brewing operation as opposed to a chemistry lab,” said Larry White, director of Non-Credit Programs at SFU. There are further plans to include the brewery in other programmes at the university, particularly in science or business and there also plans for a “commercial operation” which is, currently, going under the name “SFU Brew Co.” and which would see special brews made at the brewery and retailed under an SFU label.